Kuwait-based Equate Petrochemical Company discussed its key energy conservation strategies with the Ministry of Electricity & Water (MEW). An international joint venture, Equate’s shareholders include Petrochemical Industries Company (PIC), The Dow Chemical Company (Dow), Boubyan Petrochemical Company (BPC) and Qurain Petrochemical Industries Company (QPIC). During a visit to Equate’s industrial complex, the head of MEW’s public and private conservation team Iqbal Al Tayyar highlighted the country's strategy and plans for conserving and properly utilising energy sources, such as electricity and water. Equate Utilities operations leader Mohammad Al Ali presented the company’s overall approach towards energy conservation through a number of initiatives and campaigns as part of Equate’s sustainability program. On his part, Equate engineering and construction leader Sulaiman Albader explained the added-values of the company’s plant water recycle project, which is considered the first of its kind in the Middle East. "By recycling and re-using water utilised in industrial operations for the first time in the region, the project enables Equate to considerably reduce water consumption, save natural resources and protect the environment," explained Albader. "Furthermore, in line with our focus on sustainable energy, Equate’s new headquarters, to be completed during 2017, is compliant with Leadership in Energy & Environmental Design (Leed) in a number of areas. Such an achievement is truly a source of pride for all of us," he added. In addition, Equate’s sustainable energy projects have included Kuwait’s first seawater cooling towers aimed at water conservation and protecting the marine life. As part of the visit, attendees toured Equate’s industrial complex to view the different facilities, such as production and the two sustainable energy projects. The meeting was also attended by electrical engineers Ali Al Ruai and Husain Bu Hamad from MEW besides Equate Utilities leader Mohammad Al Mutairi and members of Equate sustainability committee members Shirin Kamshad and Zaid Al Saad. 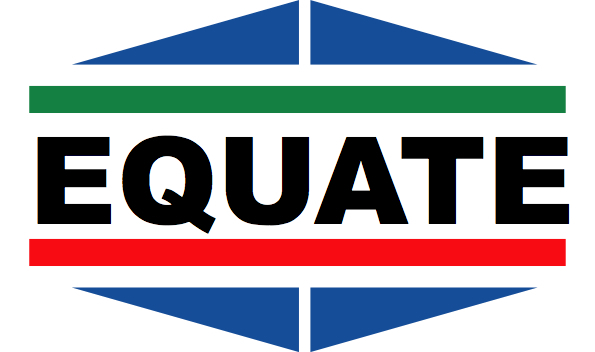 Equate is the world’s second largest producer of ethylene glycol with industrial complexes in Kuwait, North America and Europe. Its products are marketed throughout Asia, the Americas, Europe, the Middle East and Africa.